I'm a huge fan of D&D and fantasy roleplaying games in general. 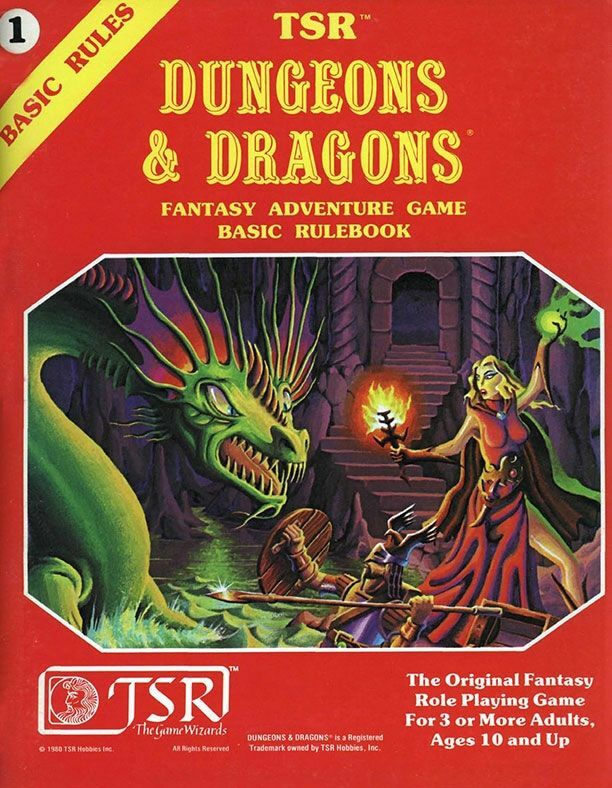 I remember holding a copy of the 1st edition D&D Basic Rulebook (the one by Tom Moldvay with the cover by Erol Otus). I was real young at the time, I had found it in my brother's room and decided to trace all the pictures in it and color them (which I regret, now I wish I had a copy of my own). I moved on to D&D 3e when I was in the Navy and have been hooked ever since. I have the D&D 5e core rulebooks, even DM'ed a couple sessions for my children. And while I really like D&D 5e and all the flavorful options that are included, I've watched how overwhelmed my kids are when it comes to character creation and keeping track of what they can do. To us D&D fans who have already been integrated its no big deal. But to kids who have NEVER played a pen-and-paper RPG, I can see how lost they become when deciding on what kind of character they want and then remembering all those abilities and searching for spells and etc. We had also played other games, like Risus: the Anything RPG. This opened up my eyes and theirs as well. The idea of traits to represent everything. No need to remember rules, just a simple word or phrase and you already have an idea what it does. I decided to design my own RPG. I took the classic D&D abilities, erased everything about classes/races/skills/feats/magic, and plugged in the concept of traits. The player works with the GM to customize their character how they want. No need to look in a rulebook except for prices on equipment. This may seem daunting at first, having to design every aspect of your character without following simple tables in some book with all the rules written out for you. However, when all you have to do is roll dice for the 6 ability scores and then just write down what you want to be and not have to look in a book to figure out what they can do, it can be quite liberating. At least, in theory.